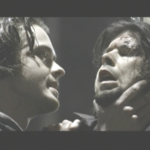 KSiteTV's Craig Byrne interviews actor Ryan Kennedy about the past, present, and future of his career. 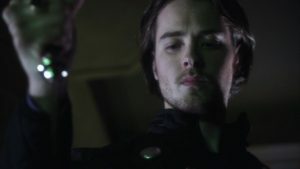 Actor Ryan Kennedy first landed on the radar of many in the KSiteTV audience for his role as Rokk Krinn, the Legion of Super-Heroes’ “Cosmic Boy” in two episodes of The CW television series Smallville. Those are just two of dozens of credits in the actors’ resume, a list which has included episodes of Defiance, Mistresses, Hellcats, Major Crimes, and NCIS and films including The Invisible, Hannah’s Law, and The Unauthorized Melrose Place Story. Many might not even know that Smallville wasn’t even his first comic book related TV series, having starred in multiple episodes of Blade: The Series early in his career. Ryan will be seen next on a new high-profile series called Tin Star that features Tim Roth in the lead role. We caught up with the talented actor recently to get fans updated on what he’s been up to and what’s coming next. 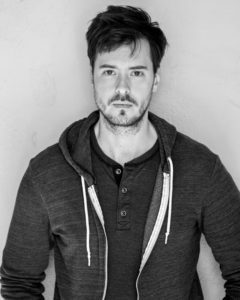 KSITETV’s CRAIG BYRNE: What can you share about this new project that you’re working on? RYAN KENNEDY: The new project is called Tin Star and it is a brilliant revenge thriller, being produced out of the U.K. for Sky Atlantic (Game of Thrones). This is already a great start because the shows that are coming out of the U.K. right now are just phenomenal. The quality, the cast, the writing…phenomenal. It’s going to be a terrific show. By next year they will be announcing the North American Network. It’s a top-tier quality cable network kind of [project]. It will go somewhere great. The cast stars Tim Roth and Christina Hendricks and is about a cop (Tim Roth) from the U.K. who comes to a small idyllic town in the Canadian rockies to start a new life with his family as the local police chief. An oil company moves in and in a way takes over the town. This beautiful setting gets tainted by the dirt and greed that comes along with it. The sh*t hits the fan in this beautiful and once serene mountain town. It’s a really dark, and at times darkly funny, gritty, epic revenge thriller that’s set in the Rocky Mountains. That’s the basic premise. I play a cop in the show who works for Tim Roth’s character. To put it extremely mildly, we do NOT get along. There’s a really interesting dynamic between them. Just being able to have those kind of scenes and that kind of material with an actor like Tim Roth is outstanding. What is the audition process like for a show that’s produced in the United Kingdom? They were looking at a lot of U.K. and Canadian actors. I’m a Canadian citizen but I live and work out of the States. I’ve lived in Los Angeles for a long time. 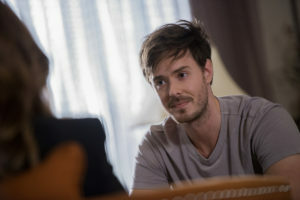 But for most of the Canadian actors involved, the casting directors held auditions across Canada with either the producer or the director present — it’s a team that really trusts each other, so they had some sessions with just the producer and some sessions with just the director who is the creator as well. So the actors met with them in person either in Canada or the U.K., but they didn’t have any in the States, which is where I was. So, originally they asked me to send a self-tape (which tends to happen a lot these days). After watching it they wanted to have a callback with me but again, they weren’t having sessions in the States. They ended up having a video Skype session with me which is becoming a lot more common. So, we had a video chat, which for an actor, is always odd. There’s a weird comfort to it, because you’re just kind of sitting there, and they know they aren’t seeing what you can really do with a screen and a digital delay in between you, but at the same time, you’re not there in person to feel that atmosphere. It’s a very different process, but it’s kind of a fun one. So I was on Skype with Rowan Joffe who is our showrunner/creator/writer/director/producer. He’s an incredibly talented guy. He wrote “The American” with George Clooney and wrote “28 Weeks Later” which was crazy popular and well received. He’s an extremely talented director. His dad was Roland Joffe who was the director of The Mission and The Killing Fields back in the day. By the time we skyped, I’d already read some of the episodes and I went “oh, this show is incredible.” And when I got to chat with him on Skype, I knew immediately he was someone I wanted to work with. You don’t always get a feature film mentality or style with the directors you work with in television, and he has that. He’s from the feature world. Those are the kind of people that actors just love to work with, and again, it’s more rare in television. So that was the process for me, for this one. What projects have you done in Los Angeles? 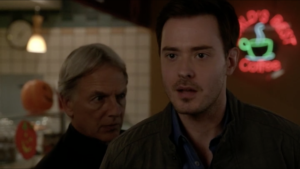 NCIS was fairly recent. Really nice show to work on, by the way. A lot of those kind of shows that have been going for a long time, there seem to be a lot of egos… people just collecting their paychecks, and that was a surprisingly nice show to work on [and not like that]. Mark Harmon was a lovely man who was extremely welcoming. He went out of his own way to welcome guests to his show and make sure that they were taken care of. It’s was really a special thing to see. 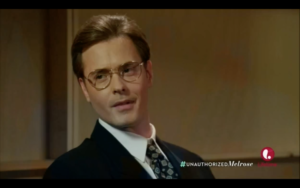 I did an episode of Mistresses. I had no idea when they called with the offer how popular the show was. I just had no idea. That was a different one; a fun little thing. It actually used to shoot in Vancouver, which is where I spent a lot of my career early on, but for this last season, they moved it back to Los Angeles, so it was nice to do it at my (current) home. I also do a show for TNT called Major Crimes. I guest star on that every once in a while. I play Mary McDonnell’s son. It’s a great role… again, procedurals I’m not a huge fan of, but this was a procedural that just sort of had a different feel. It had heart to it, and you’re working with some terrific actors. Mary’s incredible, and the showrunner James Duff who also did The Closer is just really talented and one of the most gracious people you’ll ever meet. [With these shows] I’ve had some really nice experiences working in L.A..
We first talked because of Smallville, but earlier in your career you did some episodes of Blade: The Series. Back then, was there as big of a deal made out of doing a Marvel show like there might be now? Oh, man. It was, in a way. That was a really special show to me. It was early on in my career. I had just done my first feature film which was directed by David Goyer, who has written many of the DC [movies]. I remember he and I were riding in a transport van together while we were doing this movie, The Invisible. It was my first big project. I grew up as a huge, huge Batman and Superman fan, so at the time, Batman Begins was out and I was telling him how much I loved it, and he was talking about how he had just put in the sequel script called The Dark Knight. It was a really fun moment, because he couldn’t say anything about it, and of course it turned out to be this phenomenal movie with these phenomenal performances, a terrific film. So, when we finished The Invisible, David called me and said “hey, I’m doing this show called Blade.” And I’m like “yeah, I know Blade. I love the movies.” And he said “I’m doing the series! Do you want to do the series?” I said “Yeah, I want to do the series!” It ended up being a blast. It was the first time I had worked with any kind of special effects, either green screen or practical. It was a lot of fun. At the time, Spike TV was really making a push for their programming, and that’s where the show was. For me, it was a total blast. It was just that Spike was a little bit of an obscure network. They had big plans for Season 2, and we were going to shoot in Budapest, and then the show ended up getting canceled, so that was a bit of a heartbreaker for me, but Blade holds a special place in my heart. What was it like to play Cosmic Boy in Superman’s world in Smallville, and how did it come about for you to return for the Season 8 finale? Smallville had the same casting directors who were so good to me in Vancouver, who did The Invisible. They kept bringing me back for more and more roles. I had read for Smallville for years, and being a kid who was a fan of Superman… I mean, I have so many pictures of me dressed up as Superman on Halloween and my mom would draw the little hair curl on my forehead. I always wanted to do Smallville, and I had read for it several times over the years, and I had totally given up on it, because I would never hear back on the auditions. Then one day I heard from my agent who had received a call from casting saying “hey, we’re interested in Ryan for Smallville,” but I hadn’t read for anything! It sounded at first like it was a straight offer but they ultimately had me come in. They wouldn’t tell me what the role was. This is going to sound really strange and obscure, but I just remember it was a scene with a microwave, and they had zero information for me. They made up names. The sides were all fake. The lines that they gave me just made no sense, and I went into the room and I said “can you give me any information” and they were like “nope!” Casting sent me to the producers, and then what I ended up doing, funny enough, was I called a friend who is the biggest comic book nerd, and I said “here’s some lines… is there anything you can make out of this?” and he goes “THAT’S COSMIC BOY! I know it’s Cosmic Boy!” There had been rumors [the character was coming onto Smallville], and he sort of deciphered their code and gave me some information which I took a little advantage of, and went back into the room with some of the research I had done, and sure enough they called and said “we love Ryan and he’s got the part.” It wasn’t until later on when I started doing wardrobe and everything else that they started suiting me up and started giving me information on the character because they were keeping it really hush-hush. It was a dream come true for me because it was a series that I really wanted to be a part of, and at the time, I think around Season 6 or 7 they started talking like “the end is near.” Fortunately they kept pushing through a few more seasons and I got to be a part of it and play a superhero which is every kid’s dream, and that’s how that came about. They called a little while later that the episode that we had done had gone really well and they wanted to see more of the Legion, and asked if I would come back and do the finale. 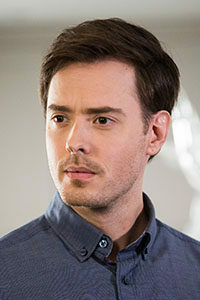 I said “of course I’ll come and do the finale.” We were always hoping for more, and they were hoping to do more Legion episodes with even more characters, but that never came to fruition, unfortunately, but it was a great time, doing the show. How did your friend react to the notion that the episode was written by Geoff Johns? He was a massive Geoff Johns fan. Geoff was terrific. He came to the set and was a part of everything and was like a kid in a candy store, and because my friend was able to help me out deciphering their secret to find out my character before they told me, I asked Geoff if he would sign one of his comics for my friend, and he actually drew Batman and signed it for him on the front page, so my buddy was more than blown away. Did you meet Geoff before, when you did the Blade series? When you were asking me about Geoff, I was thinking that at some point we had worked together before or we had some connection before that, and I think must have been what it was. I think that’s what he told me. We had worked on Blade, so he knew of me before we did Smallville. But we hadn’t met. You later worked for some of the Smallville producers on Defiance. Can you talk about that experience? Defiance was a lot of fun. One of the big reasons was because Kevin Murphy was doing it.. He is just a guy that I have a real soft spot for. He’s a terrific guy and someone who’s so loyal to people that he works with. We had worked together on three different shows already. His wife and I had worked together on a Canadian TV series back in the day, and he called and asked me if I would do Defiance. They had called a few times about the show and we just weren’t able to make it work. Then it was able to fall into place. So I went to shoot the show in Toronto and that’s when I met the guys from Smallville, who were in the writers’ room producing the show. We had never met on Smallville, but we knew of each other. So, getting to meet them was terrific, because they’re phenomenal guys, talented and extremely gracious. I ended up spending about four months in Toronto with everybody. They had built this incredible town of Defiance that was much more practical than I thought it would be. I mean, there was a ton of green screen, but it had huge practical sets too. A full town. So it was fun to walk through and see this otherworldly village sitting in the middle of Toronto. I also spent a lot of time behind the camera on that one, shadowing my directors. I spent a lot of time with Michael Nankin who does a lot of sci-fi. And does it well! We’ve worked together a couple of times. Extremely talented director. It was a really interesting, fun experience on a show that was just very different, that you could have a lot of fun with. 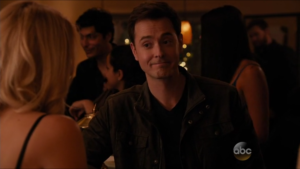 You’ve also been in some Hallmark movies. Would you like to talk about any that particularly stood out? 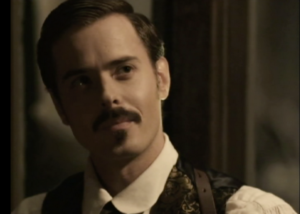 I did a Western [called Hannah’s Law] where I got to play Doc Holliday. Growing up as a teenager, watching Tombstone where Val Kilmer played Doc Holliday, it was so inspirational, a hilarious and engaging performance, and getting to play that character was fun, and a blast, and different. I became close friends with John Fasano who co-wrote Tombstone as well as Hannah’s Law… A talented, generous and hilarious man with a huge heart. It was amazing to hear his Tombstone stories, involving him sitting around in the hotel all night with Val Kilmer and Kurt Russell, re-writing the scenes. And here he was writing the Doc Holliday character for me. He unfortunately passed away a couple of years ago now. Such a tragedy. But I have great memories of him. And doing the movie was a great experience with a great cast. I ended up getting nominated for a CSA Award which is like the Canadian Oscars, for that performance. That was different, because you don’t typically get an opportunity for those kind of character performances in a Hallmark movie. It was an unexpected outlet. What kind of roles would you like to do in the future, beyond Tin Star? This goes back to what I was just saying with Doc Holliday: Unless you have that interesting character look, there’s much less opportunity in general film and television to play roles that would look and sound completely different to who you are naturally. The most interesting stuff, to me, is just getting completely out of my own body and putting on a mask, if you will, and becoming something else. Character work is a LOT of fun. That is what I’m interested in. And, it’s a really obvious answer, but anything that has phenomenal writing. There’s so much out there that you’ve seen a million times, and when you get to work on some of these incredible cable shows that are out there right now… something like Tin Star… that is so much more interesting and fulfilling. That’s the kind of stuff that I love. Is directing something that you’d like to do? That is not something I talk about a lot, but anyone who knows me, knows that I have a ridiculous amount of hobbies and interests, and one of them is filmmaking. It is a huge passion and it is a slow but decided transition for me for the future. There’s a lot of fulfillment that can come from performing, but I definitely crave creating more than just one aspect of the overall project. So, yeah. That is in the cards. Do you have a website or a Twitter feed where people can find you? I’ve avoided social media for quite a long time, to my representatives’ dismay. I’m holding off until it’s absolutely imperative that a production has me doing some kind of social media, but I tend to like my privacy, so I’ve sort of kept it that way. Our thanks to Ryan Kennedy for catching up with us! Updates will be posted here on KSiteTV when we hear more about a U.S. distributor for Tin Star.